BT TV customers can add Amazon Prime Video to their subscription. Just follow this simple guide. 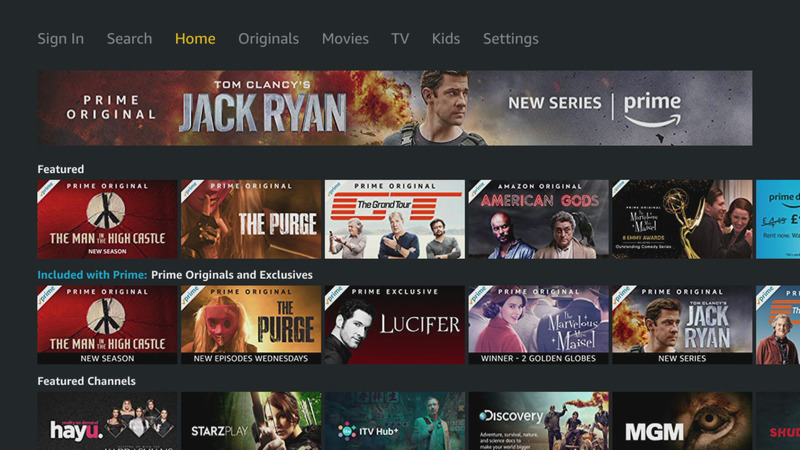 Amazon Prime Video has arrived on BT TV boxes, creating an unrivalled line-up of TV shows, films and sport in one place. BT TV is the only service where you can get AMC, Amazon Prime Video, BT Sport, Netflix, every Premier League match from the 2019/20 season, premium entertainment channels, catch-up and Freeview - all from the same TV box. With Amazon Prime Video, you can watch Amazon Prime Originals and exclusives, including The Grand Tour, Tom Clancy’s Jack Ryan, Sneaky Pete, The Man In The High Castle and The Marvellous Mrs. Maisel. If you want to know how to get Amazon Prime Video on your BT TV box, follow our three-step guide below. 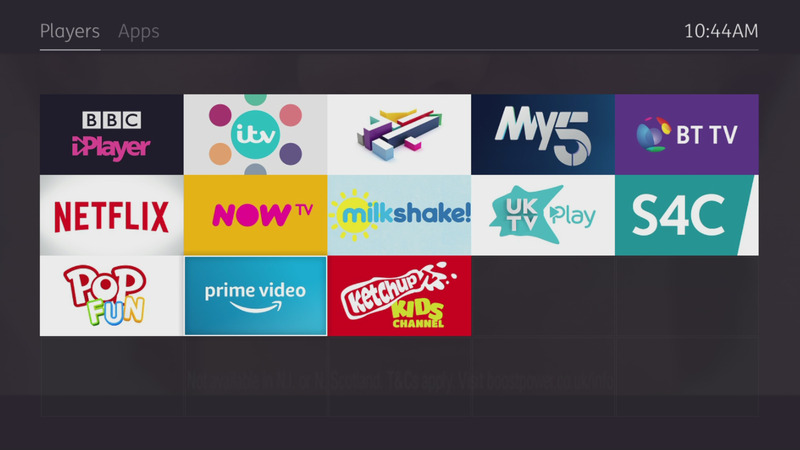 The Prime Video app works on the latest BT TV boxes which most customers have. If your TV box supports Amazon Prime Video, the app will be waiting for you in the Players & Apps menu. Press the blue Home or Y button on your remote and scroll right until Players & Apps appears. Select this and select the Prime Video app. If you already have an Amazon Prime subscription, you can skip to Step 3 and start watching on the big screen with the extra features of BT TV. If you don’t, you can still open the app to see what’s on, but you’ll need to subscribe to watch. There are two options: the full Amazon Prime with free one-day delivery and Prime Music, or Amazon Prime Video on its own. In both cases, the first 30 days are free to new Amazon Prime customers, and you won’t be charged if you cancel before this trial period runs out. 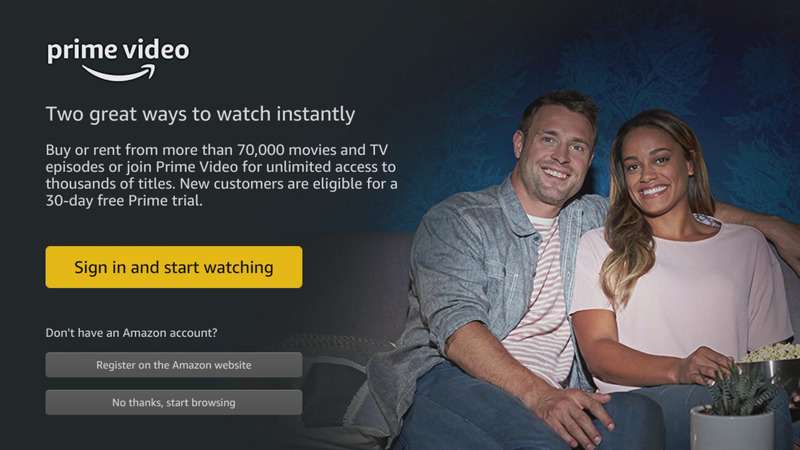 You’ll pay for your Amazon Prime Video subscription through Amazon, not through your BT account. If you have an Amazon Prime or Prime Video account, select Sign in and start watching, and enter your email address and password. If you don’t have an Amazon account, you can open the app to see what’s on by selecting No thanks, start browsing. If you like what you see, select Sign in in the top left corner, then select Register on the Amazon website. 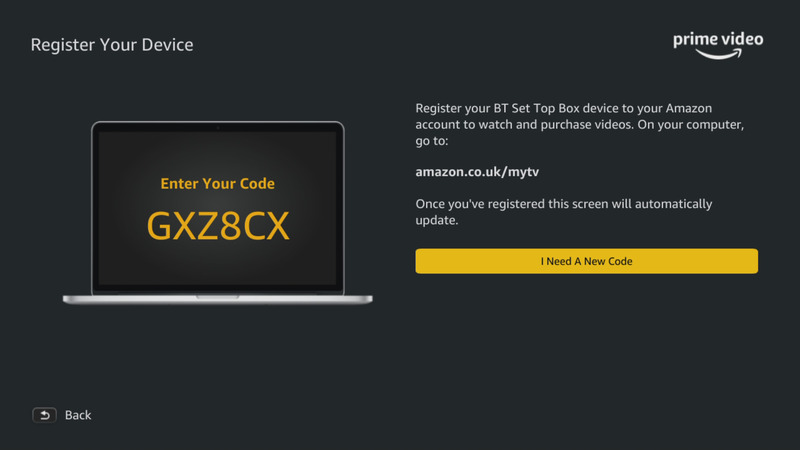 This will give you a code to enter when you’ve created an account online at amazon.co.uk/mytv. Your BT TV box will pair with your new account so you don’t have to enter your email address and password. Your biggest decision now? How to choose from the hundreds of films and TV shows on Amazon Prime Video. Find out what’s hot in our monthly guide to What’s New on Amazon Prime Video. You can use the universal Search feature on your BT TV box to search for film and TV on all of your TV channels and apps, including Freeview, BT TV, and Amazon Prime Video. As soon as you start watching, Amazon will start to make recommendations based on what you watch and the ratings you choose to give to films and shows. You can add your favourite shows to My List and you can also use Amazon’s own Search feature. You can find trailers for the latest Amazon Prime Originals by subscribing to the free Amazon Prime Video channel in the YouTube app on your phone.